Lac de Bastani (ca. 2000 m) is one of the mountain lakes along the GR 20 trail. 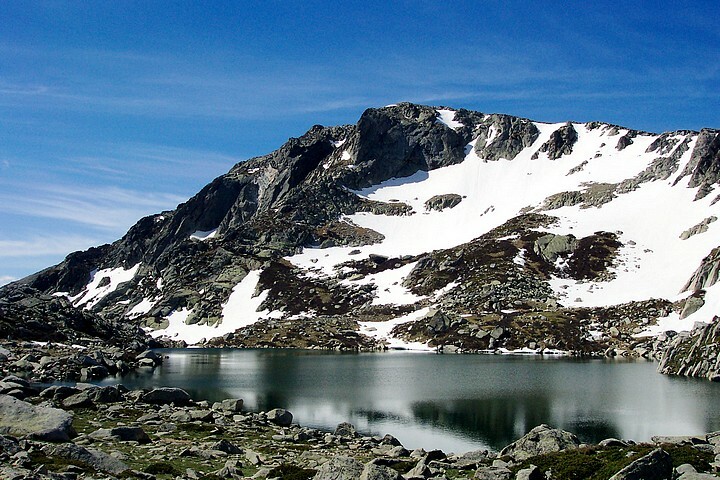 It's located in the beginning of its southern part, just below the Monte Renoso (2352 m). The photo was taken in May 2003.